I completed The Animal Pit. All of the models have been brought together to form one large scene. The paint job on the big zap generator and the pain parlor control panel have been overhauled from the light blue that was used originally to a more aesthetically pleasing aluminum. Instant Life tells the story of Yolanda Signorelli von Braunhut, the heiress to the Amazing Live Sea-Monkeys fortune, who is engaged in a David and Goliath legal battle with the toy corporation Big Time Toys to regain control over her husband’s iconic aquatic novelty. 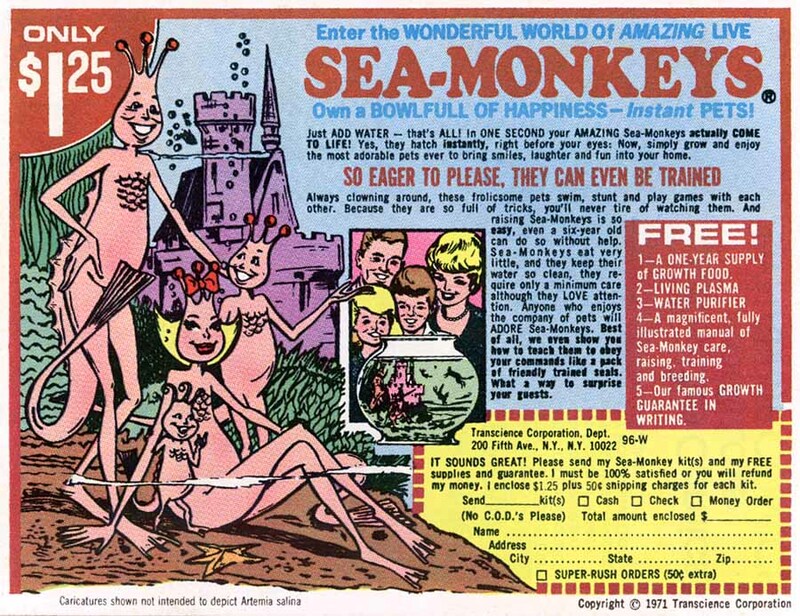 Now dispossessed of her sole source of income, Signorelli von Braunhut lives alone without electricity or running water on the Sea-Monkeys estate along the Potomac River where she struggles to restore the novelty’s reputation by regaining ownership of the Sea Monkeys and re-introducing the secret Sea-Monkeys formula to the world. 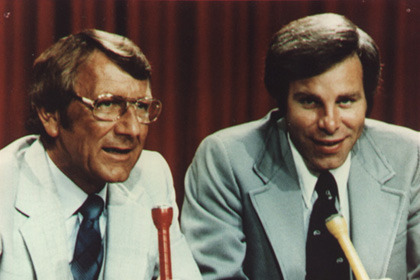 Lance Russell along with Dave Brown were the announcers on Championship Wrestling in Memphis, TN. 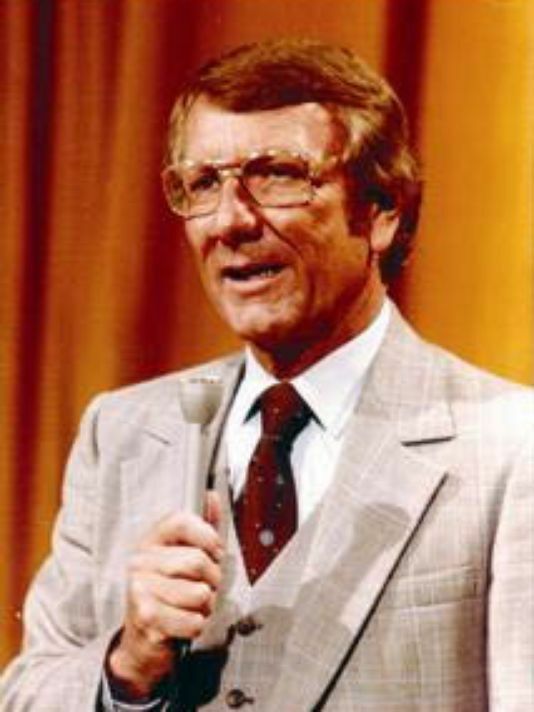 With a career spanning more than fifty years, Russell was arguably one of the most recognizable voices in professional wrestling. He first began announcing matches at WHBQ channel 13 before heading up the long-running Saturday morning wrestling program on WMC channel 5 with Dave in 1977. MEMPHIS, TN (WMC) - Memphis wrestling legend Lance Russell died Tuesday morning at the age of 91. Russell was a wrestling announcer in Memphis for decades, calling matches alongside Dave Brown at WMC Action News 5. Was there a better feeling than when mom took you into the toy store at the mall? No matter the season, it was suddenly Christmas. After all, you earned it after watching her try on dresses at Casual Corner for an hour. 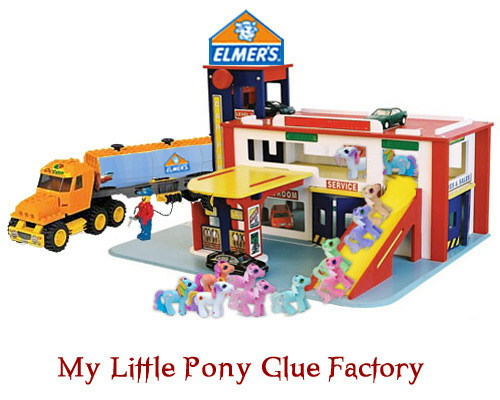 These days, toy stores at the mall are about as rare as record stores at the mall. Major chains have gone extinct as beloved mascots like Peter Panda and Kaycee Kangaroo have joined the dinosaurs. 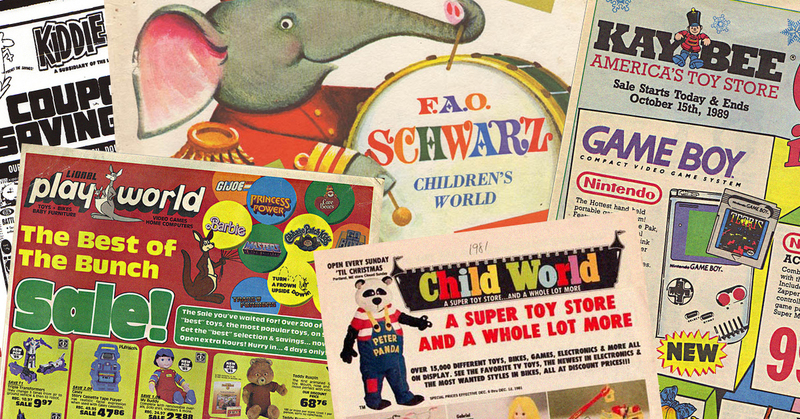 Let's take a look at some of the defunct toy retailers of yesteryear. 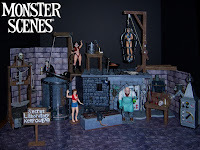 Where was your favorite place to shop for action figures, dolls and board games? Deborah Watling, who played Doctor Who's assistant Victoria Waterford in the 1960s, starring alongside second Doctor Patrick Troughton, has died at the age of 69. 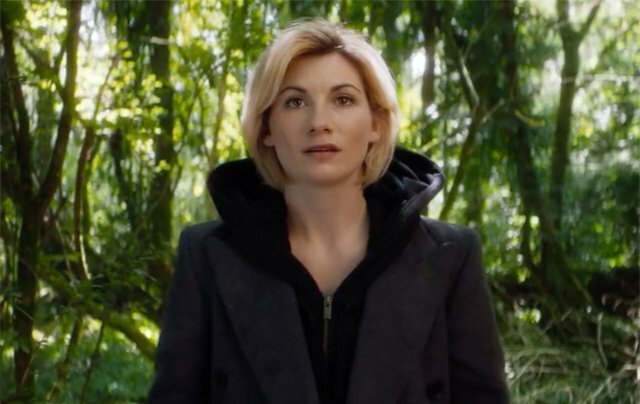 So, the new Doctor has been cast. 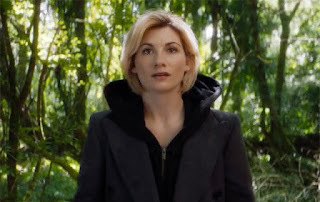 The role will go to Jodie Whittaker, a female. The internet, of course, has lost its mind. The fans have divided into two camps -- those who love it and those who hate it. They also hate each other... violently. If someone in one camp suspects you of being in the other camp expect to eviscerated immediately! The only losers are the people caught in the crossfire of this internet war, those who aren't on the bandwagon or ready to quit watching, those who innocently want to wait and see if the show actually improves because of this. 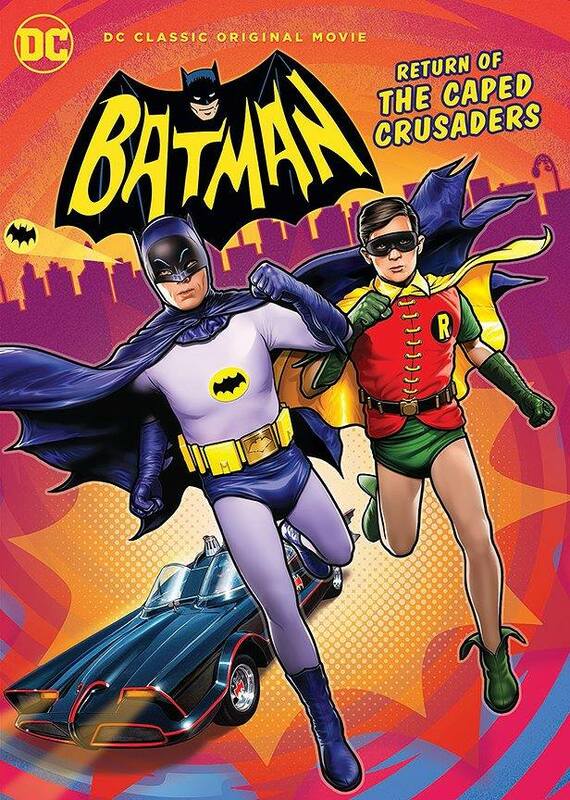 Crazy Cult Films: Batman: Return of the Caped Crusaders: I, along with many other people, am still processing the news that the great Adam West has died. He had a large influence on me and the Batman show helped shape my love of the zany and ridiculous which would later fuel my love for B-movies. To honor the legacy of this iconic actor I have decided to review Adam West’s latest appearance in his most famous role in Batman: Return of the Caped Crusaders and dedicate it to him. The film came out in 2016 and had Adam West, Burt Ward and Julie Newmar all reprise their roles in an animated movie based on the classic Batman series. "Let me do all the talking!" Order your own Batsignal from FanMade! 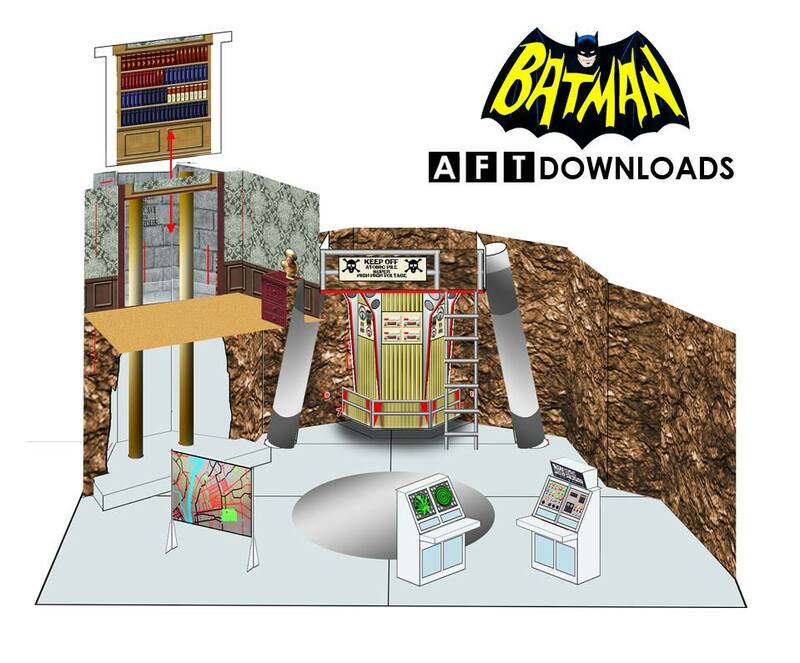 As promised earlier, here is the complete build-up of the Batcave using AFTDownloads plans. This model is 1:18th scale and designed for the new Funko 3.75" line. There is no cartoons like the old ones! The classic vintage "Super Friends" TV series is back on the new "Justice League" trailer and the result can make your garndpa faint on the couch... Give it a try! This actually looks cooler than the movie! The new Mystery Science Theater 3000 is back and its only on Netflix. 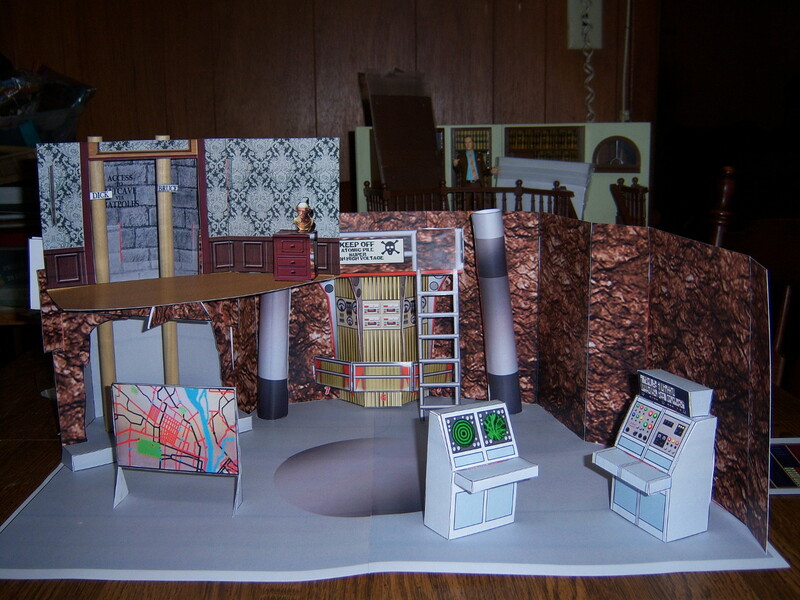 Stay Tuned Batfans, Action Figure Theatre Downloads will be releasing a 1966 Batcave Papercraft diorama playset next month... I can't wait! Update: This will be for 3 3/4 inch figures only, not 6 inch 1:12 scale. 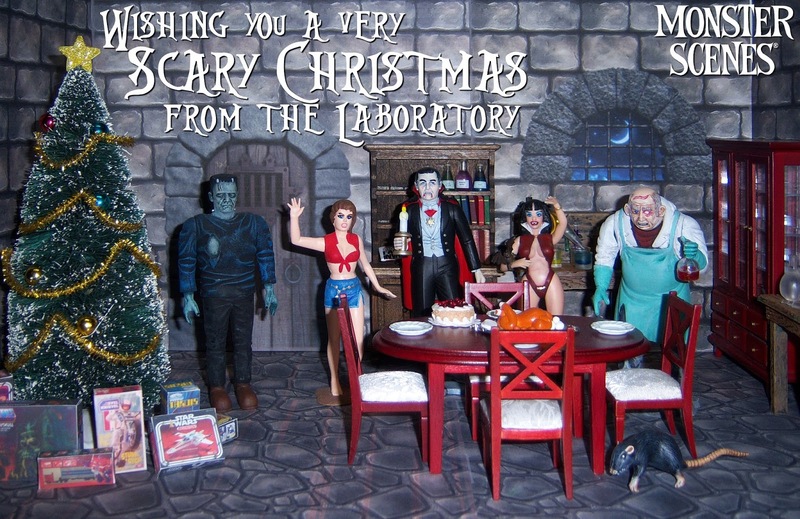 For some odd reason all the blog links in my Blogroll disappeared. 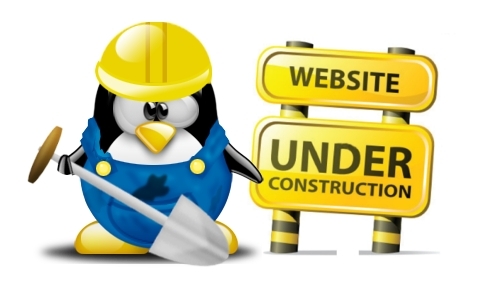 I am in the process of rebuilding the Blogroll. This is very frustrating. He doesn’t have a tank or a warship, he has a box that you can call for help. New series premieres on April 15th! The "Gardens" unite once more with your latest look at #GotGVol2, in theaters May 5! Ok I'm pretty sure that this will be good... really good! 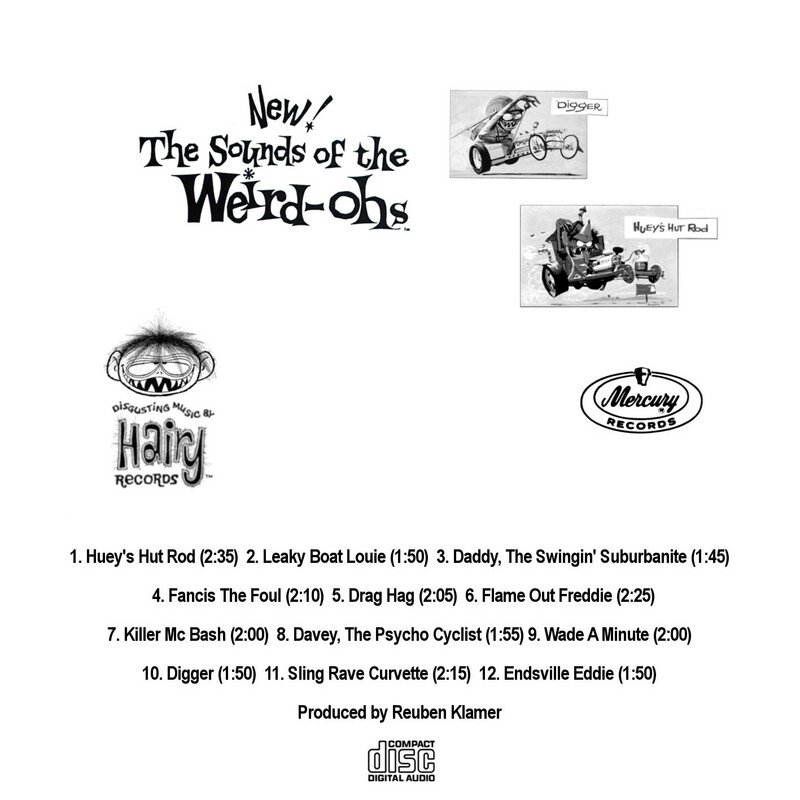 I recently made a CD of the old "Sounds of the Weird-Ohs" album and made some artwork for a jewel case for it. Thought I would share. These images can be downloaded at full size from my deviantArt page. These should come out the right size if printed double sided at 300 dpi. 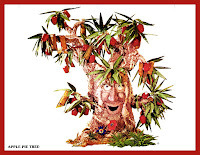 If you want to download the album all the songs are in mp3 format on weird-ohs.net. 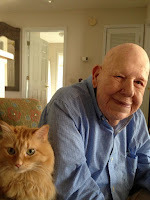 I'm a bit late with this news but back at the beginning of the month it was learned that William W. "Bill" Campbell passed away at the age of 97. Campbell was a freelance cartoonist and illustrator. 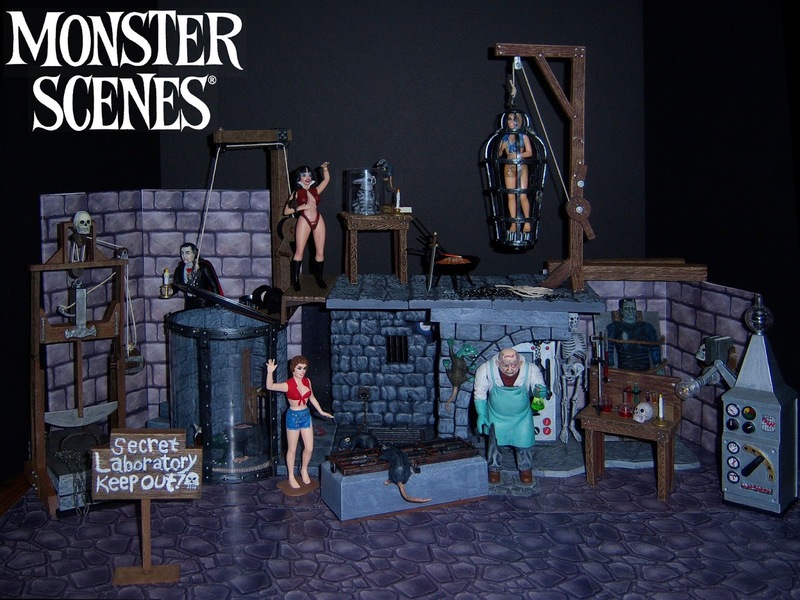 He is best remembered for his invention of the iconic Weird-Ohs model kits for Hawk Models. 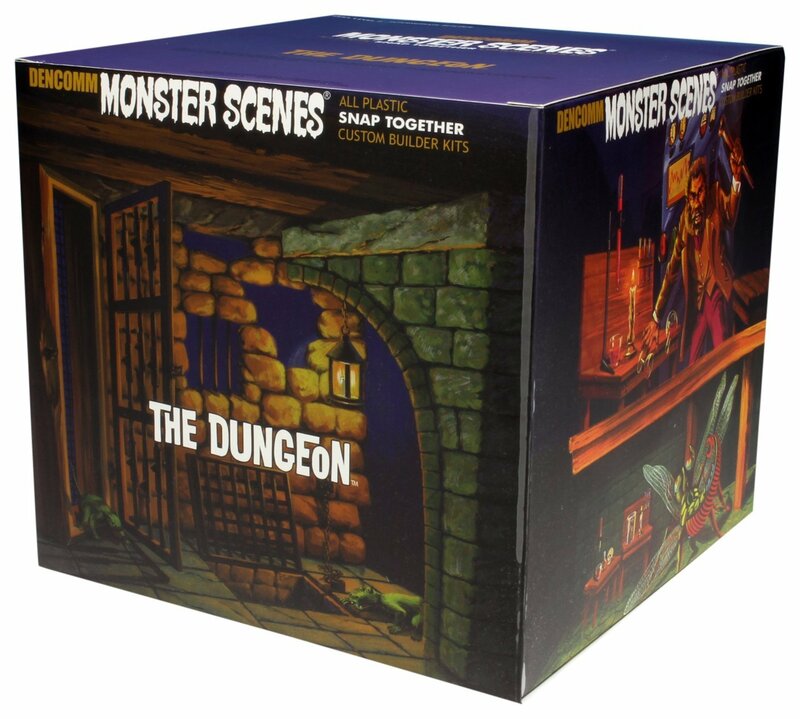 He started out as a box art illustrator for Hawk Plastic Models. 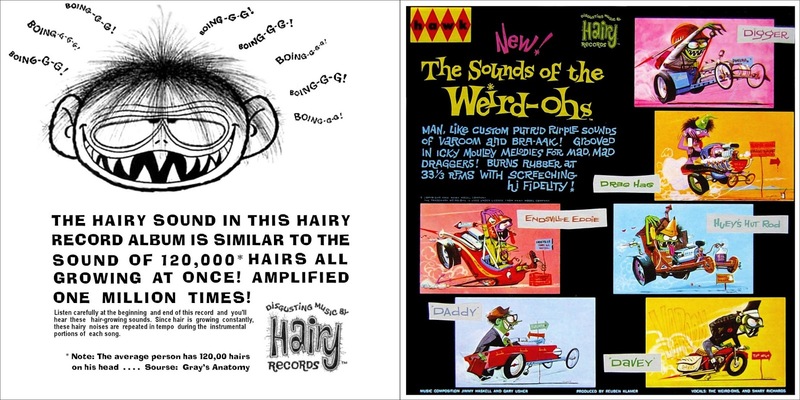 After coming to the conclusion that the model car market was saturated, he made up some prototypes of monsters in hot rods which eventually became the Weird-Oh Car-icky-tures line of plastic models which also featured his artwork on the boxes. Here is a short video of the McDonaldland Train going around the track! 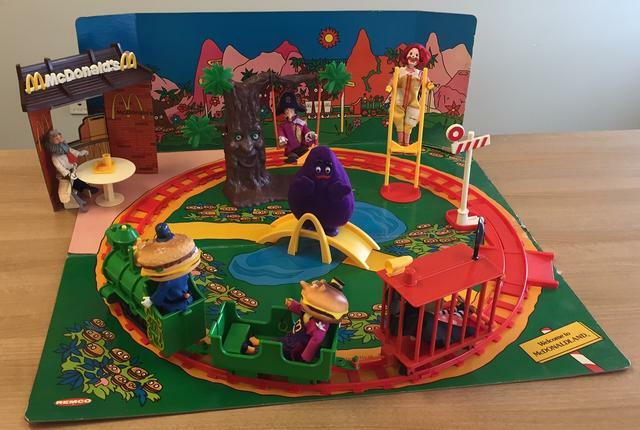 After posting about McDonaldland a few days ago, and seeing this playset, I just had to have one. Well here it is, a complete Remco McDonaldland playset with all seven of the McDonaldland characters! 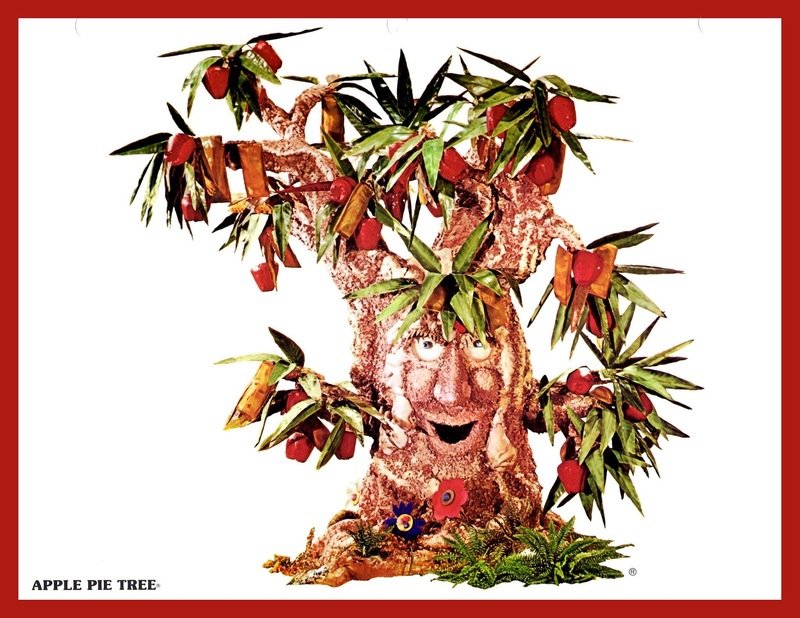 The play surface and backdrop are in relatively good condition, the Locomotive works like a top, and the Apple Pie Tree is complete with all its branches, leaves, and swing. The restaurant is intact and the roof sign isn't broken. 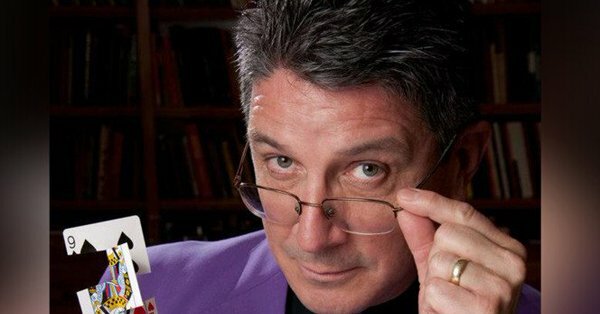 Renowned magician Daryl Easton accidentally hanged himself in a dressing room at Hollywood’s Magic Castle on Friday night — right before he was due to take the stage at the famed magicians’ clubhouse. I was saddened to learn today that Don Driver passed away at the age of 72 on February 19, 2017. Most people won't know who Don is. 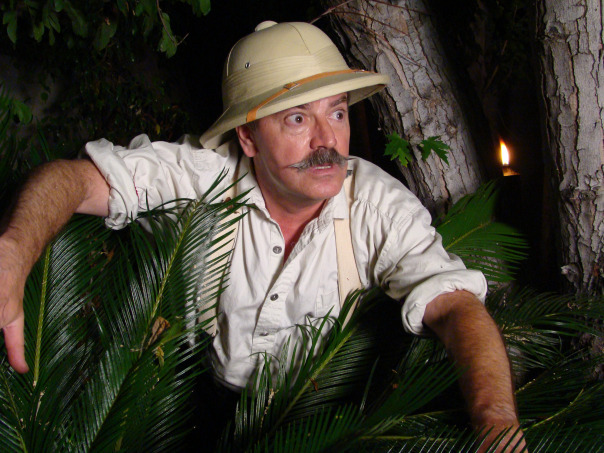 Don was a magician, escape artist, sideshow performer, and pitchman. But to me he was a teacher. 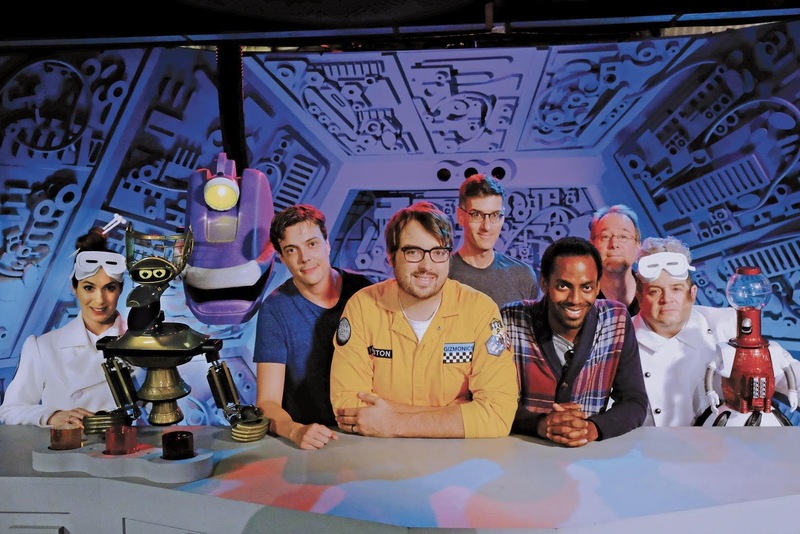 Premiere Date Announced for Mystery Science Theater 3000 Revival on Netflix! It has officially been announced that Mystery Science Theater 3000 returns to screens in April 14 exclusively on Netflix. Check it out, Kyle Roberts has recreated the Opening Theme to Batman in stop motion with action figures! In one of the signature moments in the 1966 Batman movie, Batman frantically dashes around the pier trying to get rid of a comically oversized bomb. With the fuse burning dangerously low and after dodging nuns, a mom pushing a baby carriage, and the Salvation Army band, Batman finally reaches the end of the pier only to find a family of cute baby ducklings in the way. 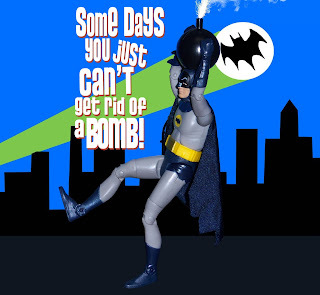 Batman turns and states with exasperation, "Some days, you just can’t get rid of a bomb!" 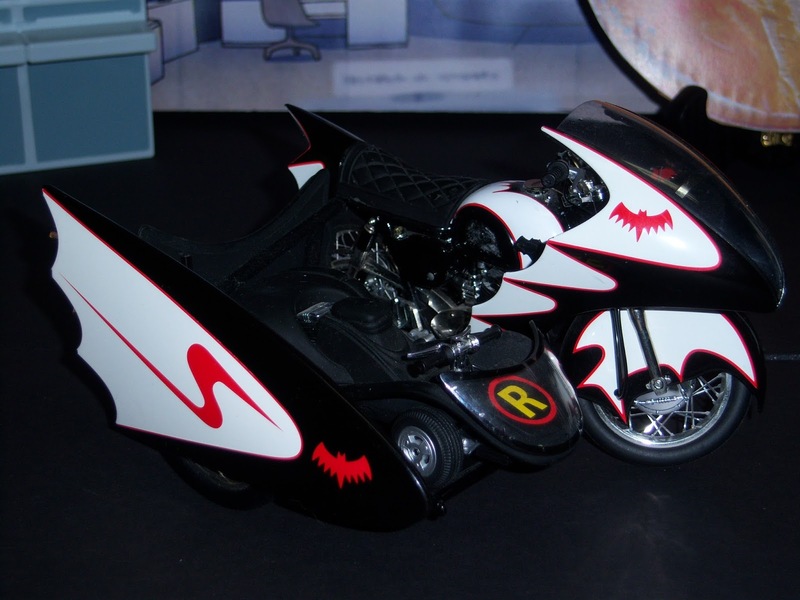 This is the Hot Wheels Elite 1966 Batcycle. I picked this little item up on Ebay recently for a bargan, as such it was a loose item with a couple of issues -- such as the rear reflector broken off and a missing footpeg with shifter lever. The foot peg was easily replaced with a toothpick. Otherwise, it is complete and displays nicely. This is not a plastic toy, therefore it contains all the fine details expected of a collectible diecast motorcycle. For me, the George Barris designed Batmobile from the 1966 TV series starring Adam West and Burt Ward is the Batmobile. In August 1965, the Batman TV show producers approached car customizer Dean Jeffries to build a Batmobile for their new show. Jeffries was going to use a 1959 Cadillac, but ultimately he turned down the project because he felt he wouldn’t have enough time to complete the car. 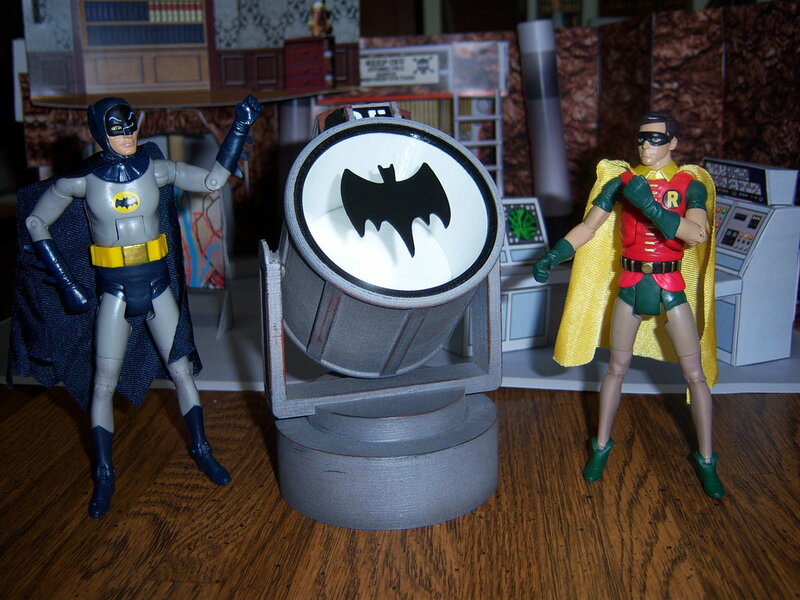 Mattel finally got the license to create action figures of the 1960s, live-action adventures of the Caped Crusader with its Batman Classic TV Series collection in 2013. Batgirl and a Batcave accessories set followed in 2015. 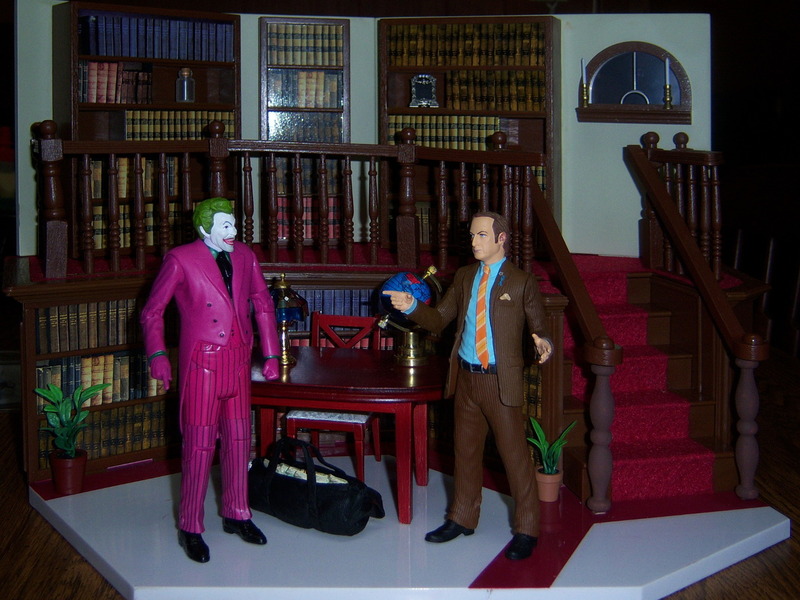 These 6-inch-tall action figures tap into the days when kids, and many an adult, were glued to their televisions watching the landmark ABC television show “Batman,” starring a collection of veteran actors. I saw it in afternoon reruns when I was a kid in the 70's. Here is my version of the Classic Batman TV Series Batcave! Yes, the trophies weren't on the TV show, but whats a Batcave without them? You can glimpse them in Batman: The Return of the Caped Crusaders cartoon movie that was released recently though. The T-Rex is from an adventure on Dinosaur Island, the giant penny is from Batman's encounter with the Penny Plunderer. And of course the giant Joker playing card is from one of The Joker's many appearances. 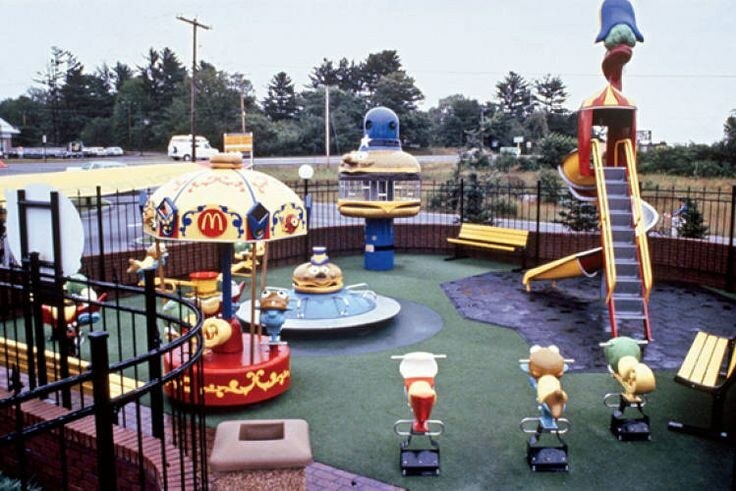 The McDonaldland playground equipment was an extension of the company's highly effective national children's television advertising campaign in which the world of McDonaldland had been created. 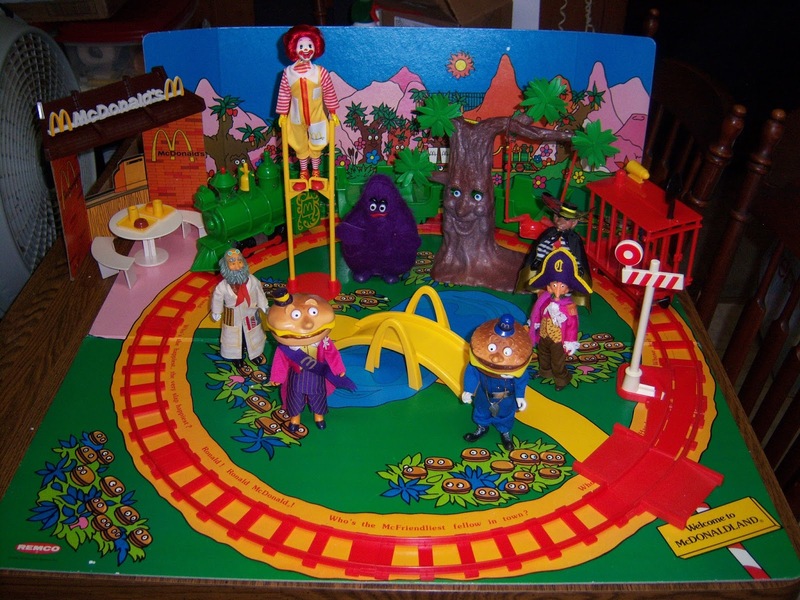 A brief look at the history of McDonaldland and the man himself, Ronald McDonald. The lawsuit. The magic. 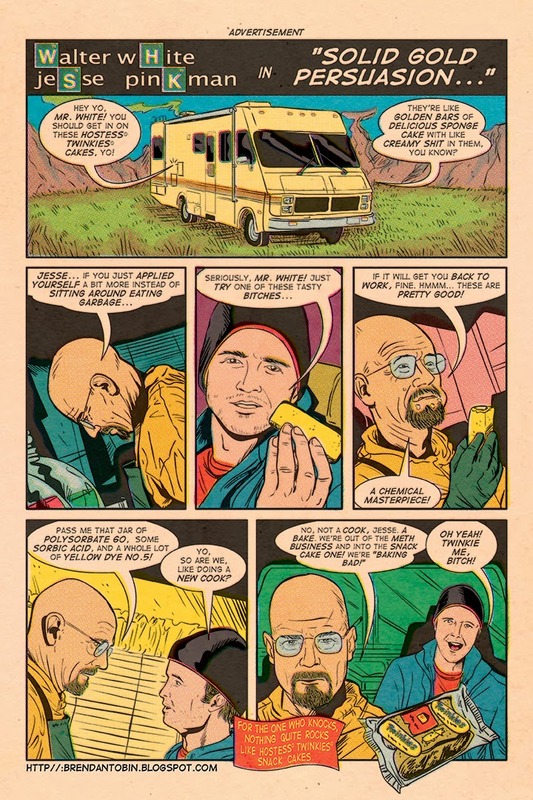 The hamburgers. 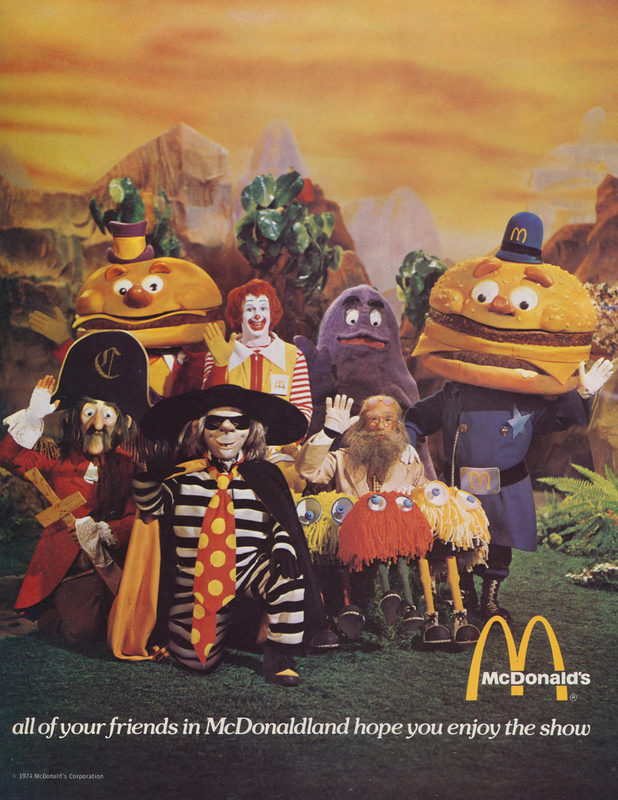 Lets travel back to early '70's for look at the magical land that is home to that hap-hap-happiest of hamburger clowns, Ronald McDonald. 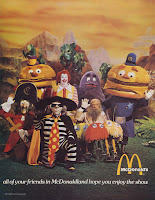 McDonaldland, with Triple Thick Milkshake Volcanoes, Hamburger Patches, French Fry Fields, Apple Pie Trees, & a Fillet O' Fish Lake, was home not only to Ronald Mcdonald, but also to such diverse personalities as Mayor McCheese, Officer Big Mac, The Grimace, Captain Crook, Hamburgler, and The Mad Professor. 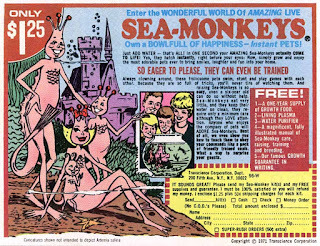 There they all have exciting adventures which mainly consist of enticing kids to get their parents to take them out to eat at McDonalds.